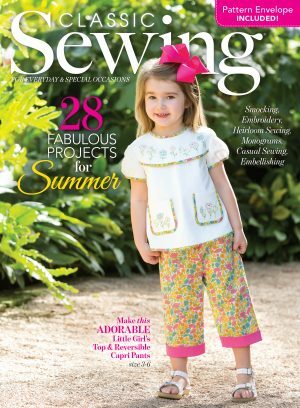 Summer sewing is heralded in with lightweight fabrics, cute machine embroidery motifs, and fashions that will please everyone! 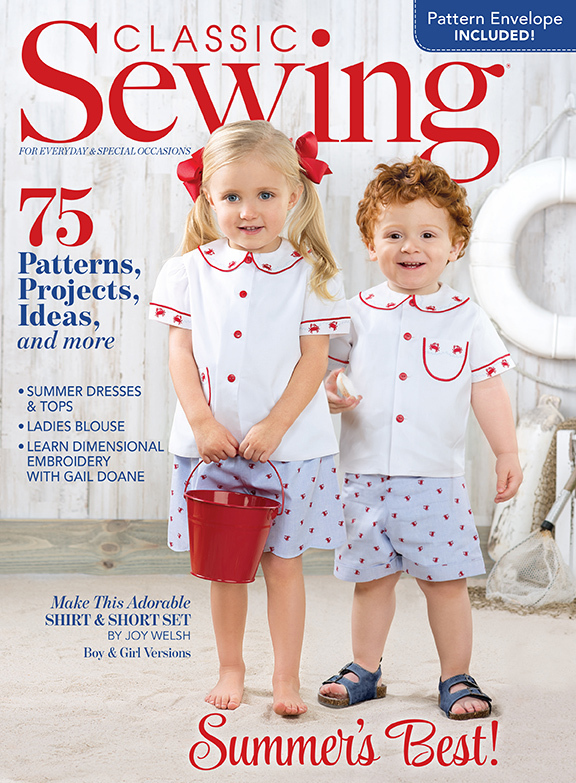 On the cover is the cutest Jack and Jill outfits designed by Joy Welsh. The shorts and shirt duo is offered for a boy with clean lines and for the girl with scalloped hems. 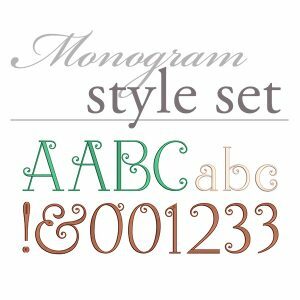 The crab embroidery design lets you customize your outfits. 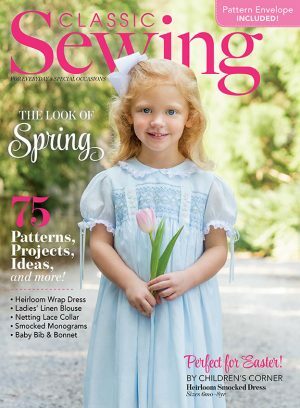 A day at the beach is in order and this issue has several beach ideas for your youngsters! 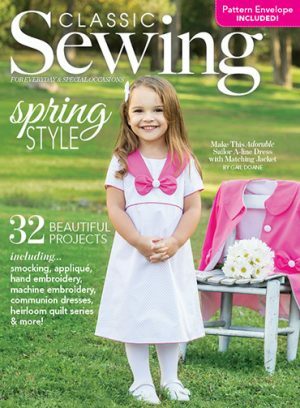 Gail Doane has designed a crossover bodice dress with dimensional hand embroidery embellishments. A classic with a twist! Every lady will love the summer tunic that is easy to make and fun to wear! Frayed edges are a great summer casual look. 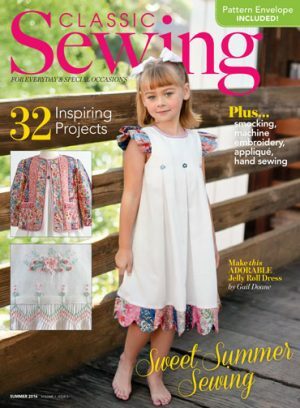 There are countless ideas, patterns, downloads and techniques to enjoy for summer sewing. You will have a hard time selecting your favorite!! 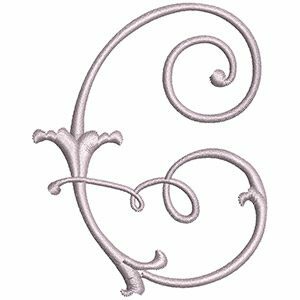 Instant Access to 18 project download files when you purchase.